Bellanti, Joseph A.; Settipane, Russell A.
Kim, Jihyun; Kim, Byung Eui; Leung, Donald Y. M.
Edited by Joseph A. Bellanti, M.D. Rapid publication – no backlog! 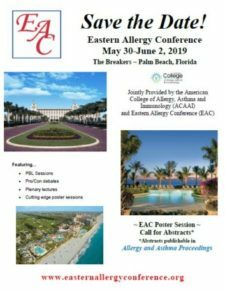 In this 111 page syllabus, in its second release, Allergy & Asthma Proceedings editors and authors have distilled the most important, practical information on topics essential to the education of Training Program Directors and fellows in the fields of allergy, asthma and immunology. Edited by: Leslie C. Grammer, M.D., and Paul A. Greenberger, M.D. with 12 additional contributing authors.